Point-and-click adventure games have always been around, despite some people thinking that the genre had died. Sure, they may have been eclipsed by massive amounts of military shooters that flooded the market, but as demonstrated by the recent string of Kickstarter campaigns from industry veterans, there’s still plenty of enthusiasm left for this genre and gamers can make a difference with their wallet. If you’re new to the genre or looking to revisit some of the best adventure games out there, check out our list and see if you’ve played them all or what you should be looking out for. Okay, we know that To the Moon isn’t your traditional point-and-click adventure with a big inventory and objects to jam together, and there really isn’t all that much pointing and clicking or even puzzle solving going on. Instead you’re in it to unravel one of the saddest stories in video games that we can think of. How sad? You should see our Top 7 saddest video games that will make you cry feature to find out. 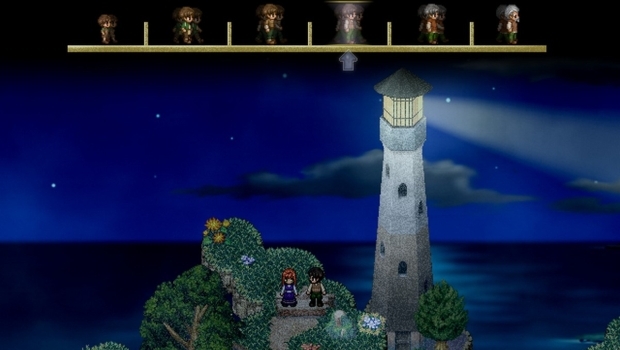 To the Moon’s poignant story about a dying man’s last wish worked perfectly in an interactive medium, with its 16-bit SNES era style graphics and touching soundtrack. It may not have the depth (or length) compared to the other games you’ll see on this list, but this is one of the few games in recent years that has really touched us and we can’t help but give it some love. Before diving into the world of MMORPGs, Norwegian developer Funcom, led by designer Ragnar Tornquist released The Longest Journey in 1999 to rave reviews. It’s not often we get a memorable female protagonist, but April Ryan left quite an impression as we witnessed her growth as we progressed through the game. The game’s strength was not only in its complex and interesting story but it was able to make you truly care about the characters that you meet. When you weren’t absorbed in the story, the game would capture your attention with gorgeous visuals and animated sequences. A sequel was released several years later, but from what we’ve been told Ragnar Tornquist would like to return to the world of The Longest Journey as soon as he’s done with The Secret World. Let’s hope! Broken Sword: The Shadow of the Templars was a phenomenal game when it came out in 1996, and what amazes us is how great it still looks today. 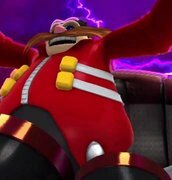 It’s been remade for almost every platform imaginable, and you’ll find recent versions include a director’s cut with extended scenes to help flush out the story. With so many beautiful and exotic European locations to visit, it’s easy to get sucked into the mystery that has unfolded right before you. You play as George Stobbart mainly, (and switch with Nico Collard at times) an American lawyer on vacation who, after surviving a café explosion by a killer dressed as a clown, decides to investigate the crime that nearly took his life. With intuitive puzzles and an intriguing storyline, it’s a treat to go through this cinematic point-and-click adventure on any platform. This dynamic duo got their start on the adventure game scene back 1993, and has made several appearances since moving from LucasArts to Telltale Games (along with several staff members.) 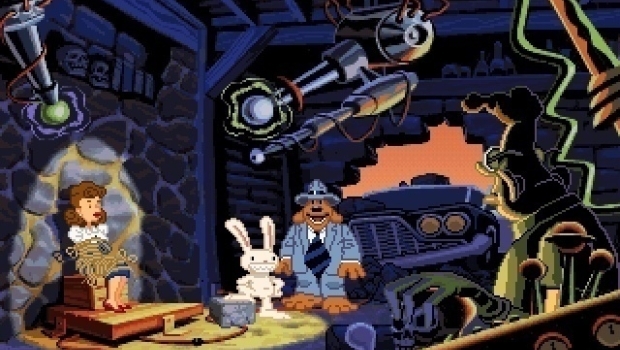 Based on the characters created by Steve Purcell, Sam & Max Hit the Road is, without question, one of the most absurd adventure games that you’ll play and is incredibly funny to boot. Sam, the canine shamus and Max, the hyperkinect rabbit are a pair of overzealous crime fighters have dubbed themselves the “Freelance Police” and will do what is necessary for justice to prevail. It can be cheesy but it works, and you’ll laugh because the jokes never miss their mark. It’s no wonder that the series has continued throughout the past decade and we hope that it shows no signs of stopping. What made Indiana Jones and the Fate of Atlantis great was that it didn’t have to follow a movie plot for once. Instead, it was an original story penned by game designers Hal Barwood and Noah Falstein set in the fictional Indy universe we’ve all come to know and love. Unfortunately this global romp to discover the sunken city of Atlantis never saw any sequels, but the game has lived on in our memories as being one of the best Indiana Jones adventures ever. It has everything you’d expect from an Indy game - Nazis, treasure, and a lovely lady at his side. As the intrepid Jones, it’s a race to beat Hitler’s minions to the fabled lost city of Atlantis that harbors a weapon more powerful than an atomic bomb. What’s cool about this game is that there are also multiple ways to solve a puzzle, so you’ll be rewarded depending on how inventive you are with your solutions. As fate would have it, the recent Nintendo Wii game Indiana Jones and the Staff on the Kings included Fate of Atlantis as an unlockable, but you can also find it on Steam. Easily the best King’s Quest game of the series, King’s Quest VI: Heir Today, Gone Tomorrow was written by adventure game veteran Roberta Williams and Gabriel Knight creator Jane Jensen. 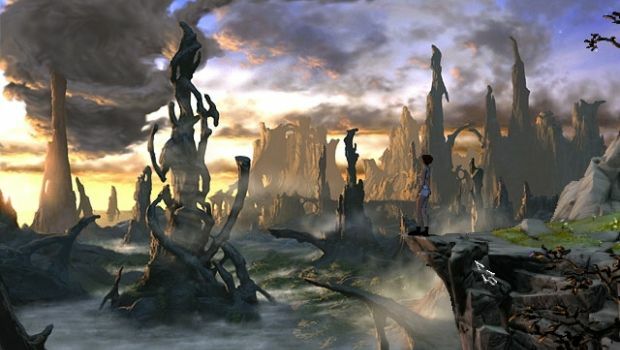 While death was still a common occurrence with any misstep, the fairytale-like world that the game was set in, the unique environments, the fascinating characters and interesting puzzles made the journey worthwhile. The game may have been a typical boy-meets-girl and then boy-must-save-girl story, but it was the mythology-themed puzzles, gorgeous environments, and touching love story that captured our attention. Visually, the King’s Quest VI may not hold up as well as some of the others, (and we’re still secretly hoping for a remake), but you can find it off Steam and relive all the King’s Quest adventures from your youth or see what you’ve been missing. 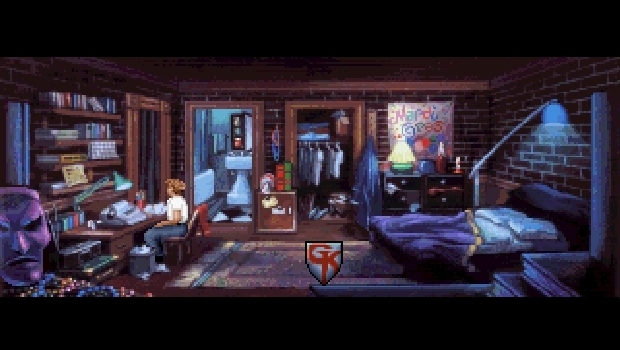 After King’s Quest VI, Jane Jensen went on to design her own game, Gabriel Knight: Sins of the Fathers in 1993. Moving away from what Sierra was known for, Gabriel Knight was a dark, supernatural mystery set in New Orleans with real life locations like the French Quarter. 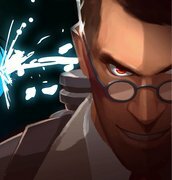 The game set a more serious tone as you (Gabriel, a struggling bookstore owner and author) investigate a series of voodoo-killings in hopes of getting a good novel out of it. The mood and ambience is what set this game apart and was partially why people fell in love with it. It’s not just because of the dark subject matter, but the writing, the soundtrack, and the settings all work together to create an intense and rich experience that you won’t soon forget. That’s right, another LucasArts title, but Day of the Tentacle is a high-ranking classic and deservedly so. While the game is awesome all on its own, the first Maniac Mansion was also included and can be accessed in-game. 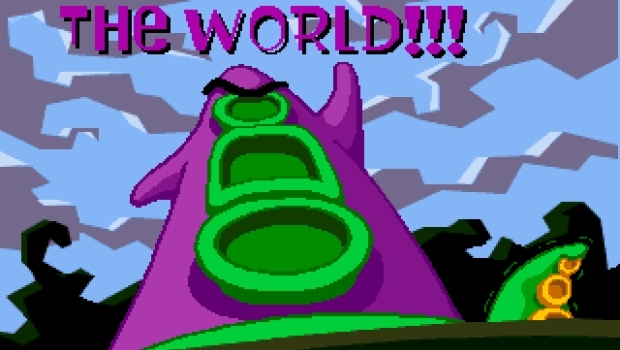 Day of the Tentacle featured excellent voice acting, sharp writing, and one of the best villains ever - an evil purple tentacle who wants to take over the world. Thanks to Dr. Fred Edison’s faulty time travel device, you play as three separate protagonists, stuck in various time periods and must solve devious puzzles by flushing items to and from the future via a porta potty time machine in hopes of stopping Purple Tentacle. Do we really need to say more? 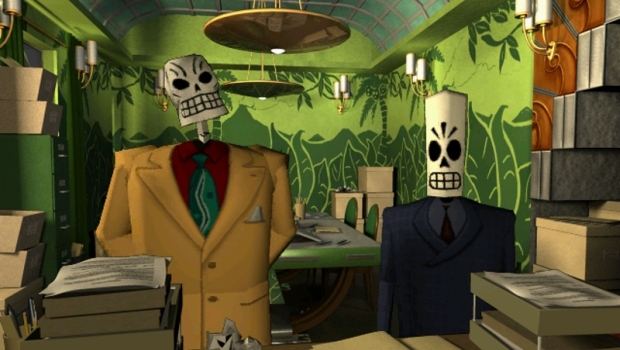 Grim Fandango may not exactly be a traditional "point-and-click" game, but it's the same idea. It’s no surprise that when Tim Schafer decided to launch a Kickstarter campaign for a traditional adventure game, fans were eager to shell out money in a heartbeat. Grim Fandango was Schafer’s creation back in 1998, during a time when publishers wanted to move away from the point-and-click genre. It was the first LucasArts 3D adventure game and Schafer’s last at the company, as he went on to start Double Fine Productions soon afterwards. The paper-mache art style, eclectic soundtrack and memorable characters were what made Grim Fandango stand out amongst the others, and the game still holds up today. Weird, dark, hilarious, and educational, you’ll not only be entertained by this quirky adventure that pokes fun at death, but there’s a lot to learn about Mexican folklore too. LucasArts was on a roll with their adventure games during the ‘90s, and we could have populated this entire list their finest (even though we practically did.) And while many of them have a special place in our hearts, it was The Secret of Monkey Island that we felt deserved the number one slot. Designed by Ron Gilbert, Tim Schafer and Dave Grossman, the game was as hilarious as it was absurd, but it was also endearing and had clever puzzles. 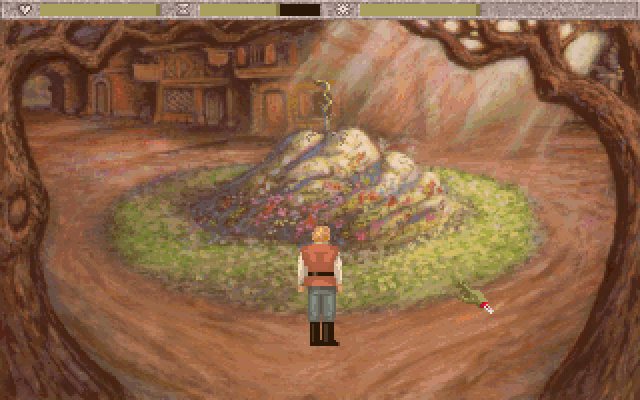 Even though Guybrush Threepwood went on to make several appearances in subsequent games, The Secret of Monkey Island was still his most memorable adventure. Hurling insults in a sword fight and negotiating with a used boat salesman are just some of random things that you do as you try to become a pirate and save Governor Elaine Marley from the clutches of an evil ghost pirate. It’s a blast to get lost (and go around in circles) in the world of Monkey Island because there are so many great characters to interact with and plenty of goofy moments. But most importantly, the game helped pave the way for more excellent adventures to come. The Secret of Monkey Island was remade recently with updated audio and visuals, and you can play it on Xbox Live Arcade, PlayStation Network, iPad and iPhone. 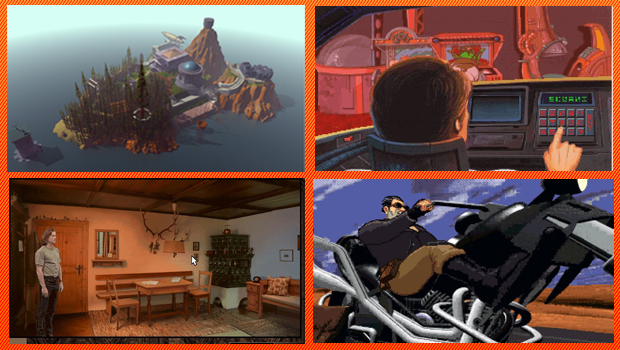 We know there are plenty of adventure games we missed, some old, some new. This list could have kept on going, but we had to cap it off at some point. Let us know which ones were your favorites and tell us why! stone-skull - March 31, 2013 7:10 a.m.
ramirez6666 - February 1, 2013 10:57 a.m.
Great list! "The Longest Journey" in particular is one of my all-time faves. A couple other games that deserve mention are "The Dig" and "The Last Express." I'm sure most point-and-click adventure fans have played them, but those who have not owe it to themselves to check 'em out. You can get the former on Steam and the latter on GOG. iamquitting - April 16, 2012 8:40 a.m.
CitizenWolfie - April 12, 2012 1:51 a.m. I honestly don't know how you managed to pick just one Monkey Island game. 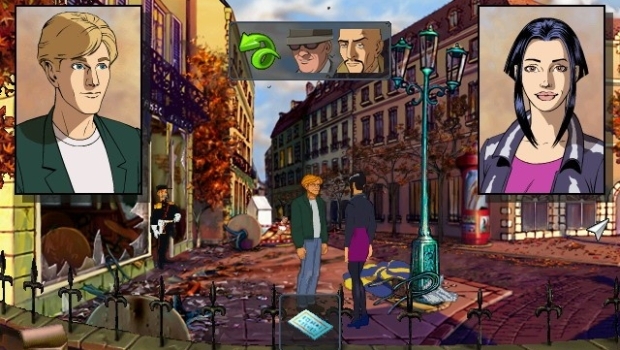 Broken Sword ranks among my top five games of all time and I really must try to get hold of Grim Fandango. I hope these sort of games will continue to be made and good luck to the devs trying to raise the cash to get them made. santaclouse37 - April 11, 2012 4:03 p.m.
"and Max, the hyperkinect rabbit"
Groocifer - April 11, 2012 3:31 p.m. I loved the first two Monkey Island games, but I preferred the second one. Couldn't get on with the HD remakes, they just didn't feel right with those horrible redrawn graphics. The first two Discworld games kept me playing for a long time, the voice acting was particularly good, and well cast; I never played Discworld Noir, as my PC at the time wouldn't run it! 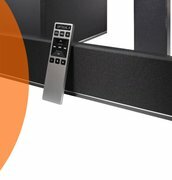 I'd also like to give an honourable mention to Zak McKraken and the Alien Mindbenders, if only for the name and for putting eggs in microwaves. The_Boz - April 11, 2012 6:20 a.m.
You can actually download a lot of these games for free now through abandonware sites. Many old PC games are now free to download and play. If not, you can still see full play throughs on youtube if you miss them that much. The_Boz - April 11, 2012 6:17 a.m.
My favourite game type ever. When I got my PC, these games were doing the rounds, before that I was envious of my Amiga/PC owning friends. Whenever one of these games came down to a fiver, I just had to buy it. Here are a couple of my favourites which should be worth a mention. Beneath a steel sky, Innocent until caught, Discworld, Simon the Sorcerer, Blade Runner and Sanitarium were up there for me. Some of the puzzles were daft, but the characters were probably the best ones ever in video gaming. TurkeyOnRye - April 11, 2012 6:10 a.m.
Cruddi - April 11, 2012 4:08 a.m.
Full Throttle, although it was a point and click it was not a typical point and click, rather than select and item and rub it agaisnt something you could also punch or kick certain items to progress. Also there was the road rash style bike fights with weapons, one of which was a puzzle that required a certain weapon to progress some fantastic voice acting and solid characters made this my best point and click of all time. KidKatana - April 11, 2012 9:35 a.m. Agreed! Good to see there's still love for that game, fingers crossed for a remake...hell, I'd take a remake/rerelease of pretty much any game on this list. AuthorityFigure - April 11, 2012 1:01 a.m. I enjoyed 'Countdown'. It was very creepy, an escaping an asylum as difficult as it should be. IceBlueKirby - April 10, 2012 9:21 p.m. The only point and click game I've played and beaten is Loom, so I guess that kinda makes it my favorite. I've also played a bit of Indiana Jones and the Last Crusade, which is fun, and The Dig, which I haven't played long enough to tell if it's going to get interesting at some point. There are several p&c games I've been meaning to try out (the Monkey Island games chief among them) but I always end up getting sidetracked by something else. One day I'm just going to have to go on a Steam shopping spree and download a handful of them. pin316 - April 10, 2012 7:56 p.m.
SirDinkleman - April 10, 2012 6:27 p.m.
Fhiend - April 10, 2012 5:57 p.m.
Loom was a good one and even though it isn't really a point and click, I would add Snatcher. It kind of is a point and click but not really. Still awesome. Liqvid - April 10, 2012 5:04 p.m.
winner2 - April 10, 2012 4:17 p.m.
LSZ - April 10, 2012 3:44 p.m.
Blade Runner for the PC. This was a very good game. It had its own story running at the same time as the movie but it still gave you the same amazing atmosphere. It was the 90's version of LA Noire since you got to use the Voight-Kampff on suspects and you could analyze crime scene photos as well. It was one of the more involving stories I've experienced in a video game. GamesRadar is the premiere source for everything that matters in the world of video games. Casual or core, console or handheld - whatever systems you own or whatever genres you love, GamesRadar is there to filter out what's worth your time and to help you get even more from your games. We deliver the best advice, the most in-depth features, expert reviews, and the essential guides for all the top games. © Future US, Inc. 4000 Shoreline Court, Suite 400, South San Francisco, California, 94080. All Rights Reserved. Log in using Facebook to share comments, games, status update and other activity easily with your Facebook feed.